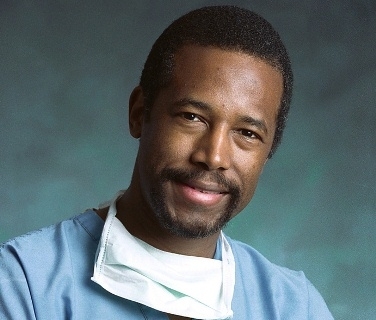 WASHINGTON – (CT&P) – In what experts are calling a ground-breaking new surgical technique, Dr. Ben Carson will perform surgery on his own brain late next month, before the primary season begins. An aide to the GOP frontrunner told Fox News this morning that the retired neurosurgeon and acclaimed Egyptologist will be operating on parts of his prefrontal cortex and temporal lobes in an attempt to recover memories of key events in his youth. According to the aide, the delicate procedure will be carried out in a room filled with smoke and mirrors, much like his campaign for president. Although the operation has never attempted before, Carson believes that if successful, it could provide hope for other adults who are unable to remember everyone they attacked and/or murdered in their youth. The aide said that Carson also hopes that the surgery will boost his IQ, thus allowing him to understand complicated subjects such as civics, history, science, and the concept of vetting political candidates. I had only heard of DIY Dentistry. This is a medical breakthrough! He has to grow one first.